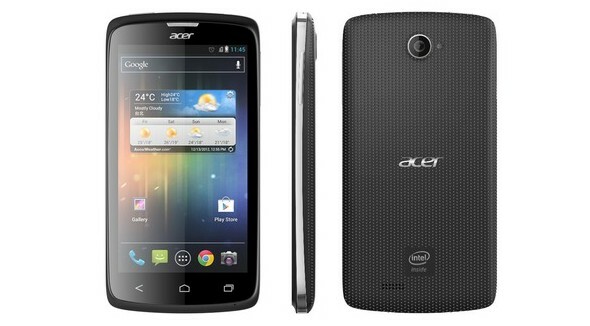 Acer is not famous for the production of smartphones( the latest phone is now with acer liquid c1), if we can understand acer is fame with production quantities. However, it is famous for the same reason as accessible enough terminals in terms of price, but that let you enjoy above average performance in its class. So all in all the Terminal features that may seem not quite mid-range now, considering that in this 2013 the first range will be completely rewritten. But the Intel Atom Z2420m provides optimum performance, while batta of one heart. The range of Intel Atom Processors for the mobile industry, then for terminals with Android operating System, are low-cost processors and designed primarily for emerging markets.The Terminal in question, however, should arrive in Europe at a price low enough that, according to hear what was said by rumor, should be around 249€.We'll then pending more information, let us know what you think in the box below.